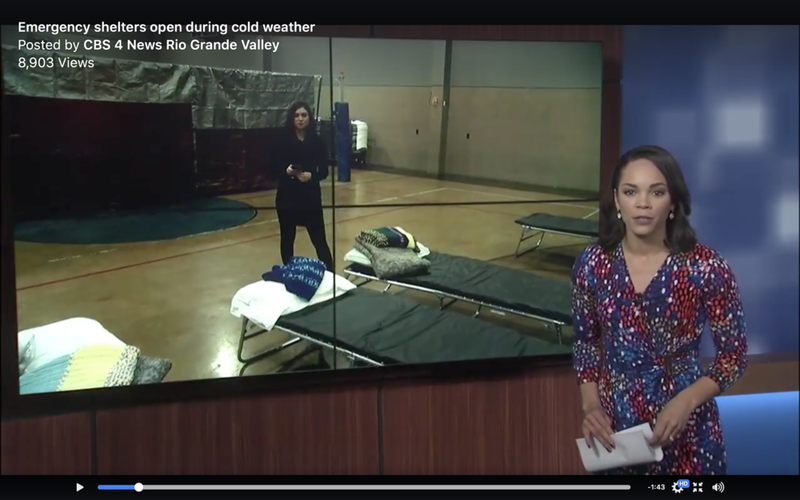 The warming station is a part of First Baptist Church's Mid-Valley Ministries and functions in a partnership with the City of Weslaco to open when evening temperatures drop below 40 degrees. The Fire Department provides cots, the Police Department Security, and members of FBCW provide food, fellowship, blankets, and volunteers for the shelter. Functioning since 2015, the warming station uses local school-districts, news stations, and people like you to get the word out on cold days. Please contact us if you know of someone who is in need of shelter during the valley's coldest nights. You may donate to this fund to support our ever-expanding, responsive local mission efforts that touch lives right here in our own community.